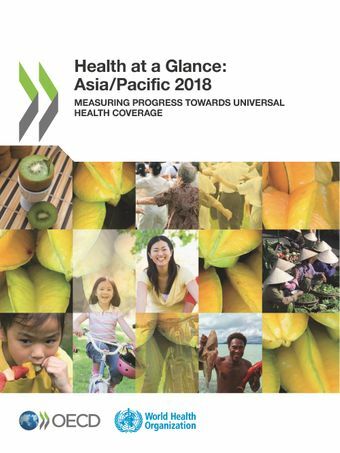 This fifth edition of Health at a Glance Asia/Pacific presents a set of key indicators of health status, the determinants of health, health care resources and utilisation, health care expenditure and financing and quality of care across 27 Asia-Pacific countries and territories. It also provides a series of dashboards to compare performance across countries, and a thematic analysis on health inequalities. Drawing on a wide range of data sources, it builds on the format used in previous editions of Health at a Glance, and gives readers a better understanding of the factors that affect the health of populations and the performance of health systems in these countries and territories. Each of the indicators is presented in a user-friendly format, consisting of charts illustrating variations across countries and over time, brief descriptive analyses highlighting the major findings conveyed by the data, and a methodological box on the definition of the indicator and any limitations in data comparability. An annex provides additional information on the demographic context in which health systems operate.